Silver power coated, 16" steel dual trailer wheel with 5-1/2" offset features an 8 on 6-1/2 bolt pattern and meets Department of Transportation standards Lowest Prices for the best tires and wheels from Dexstar. 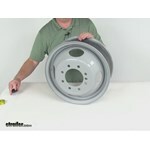 Dexstar Dual Wheel with Offset - 16 x 6 Rim - 8 on 6.5 part number AM20783 can be ordered online at etrailer.com or call 800-298-8924 for expert service. 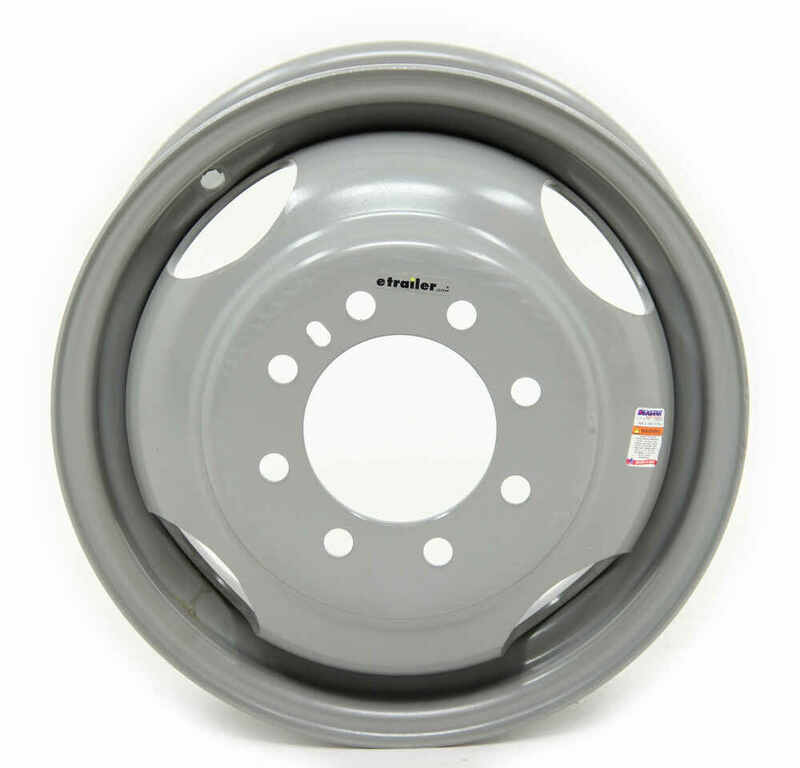 20783DX Dexstar Dual Wheel - 16.5"
We carry rims with a 4.77 pilot hole, like # TTW660865SDX1C, and a 4.75 inch pilot hole, like # AM20783, however they're both for dual wheel applications and have an offset. Using a wheel with a 4.75 or 4.77 pilot will be just fine since there's such a small difference. It's likely the measured hole is the same just estimated on the 4.75. The offset for the trailer wheel part # AM20783 is 5-1/2 inches and the "width" is 6 inches not including the mounting lip. When you add that in the overall width is 6-1/2 inches. Your 235/80-16 tires will fit on wheels that are 6 to 7-1/2 inches wide, where the tire rides, so they will fit on dually wheel # TTW660865SDX1C. 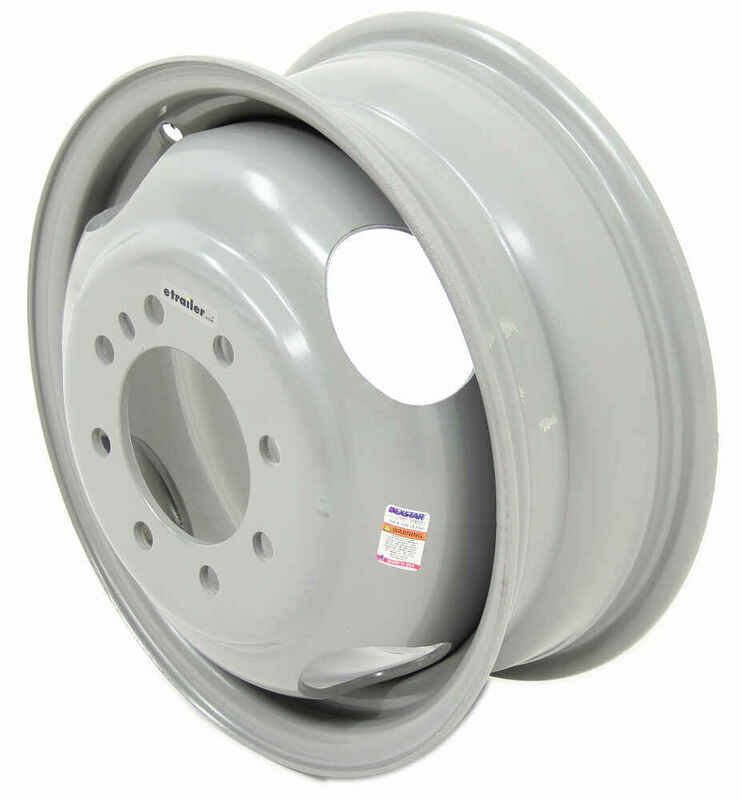 This wheel has an 8 on 6-1/2 bolt pattern and 4.77 inch diameter center pilot hole. 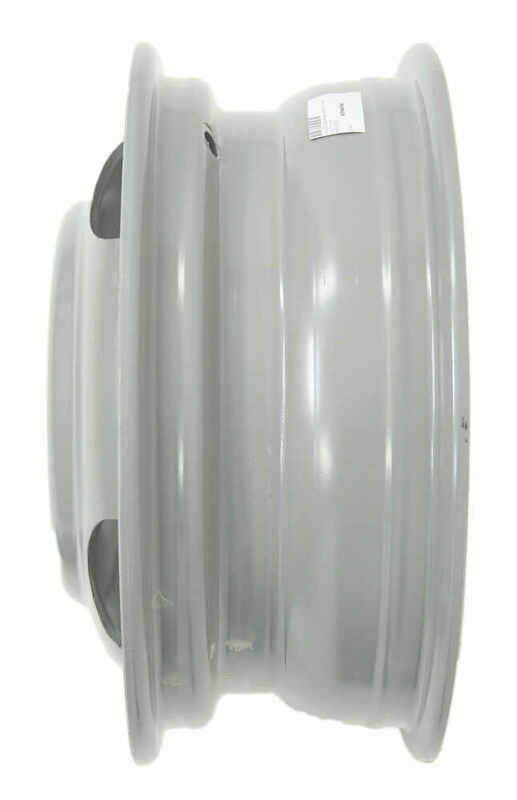 We also have # TTW660865SDX2C with the same bolt pattern but with a 4.88 inch diameter pilot hole. We also have white version # AM20783 for the 4.77 pilot hole. Pilot diameter on a wheel like our dually trailer wheel part # AM20783 that you referenced is basically the diameter of the center hole of the wheel. This wheel has a pilot diameter of 4.75 inches. I attached a picture that shows this dimension as well. You should note that this is a trailer wheel and it is not designed for a truck. The spec given to us for the offset of the Dexstar Dual Wheel part # AM20783 is 5-1/2 inches of positive offset. However, when we had our wheel and tire guru measure it he found the offset to be 5 inches of positive offset. So to answer your question, the offset is 5. I spoke with our resident tire/wheel guru and he said that some older trucks with duallys did use gaskets, but if your current setup is a newer one and does not have currently have gaskets then you will not need one.